Marc Anthony is back! The superstar has announced dates for his Legacy tour. 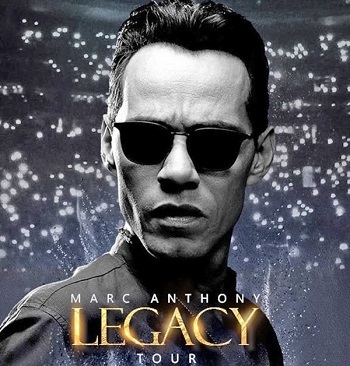 Legacy is part of the historic concert tour agreement that was announced in May by Cárdenas Marketing Network (CMN) and Magnus Talent Agency (MTA). Under the agreement of more than $160 million, CMN will serve as Anthony's exclusive concert promoter in the United States, Central America, South America and the Caribbean covering several touring cycles. In Europe, CMN and MTA will co-promote concerts, whereas CMN will exclusively represent the artist's live performances.